As a man, who do you admire? 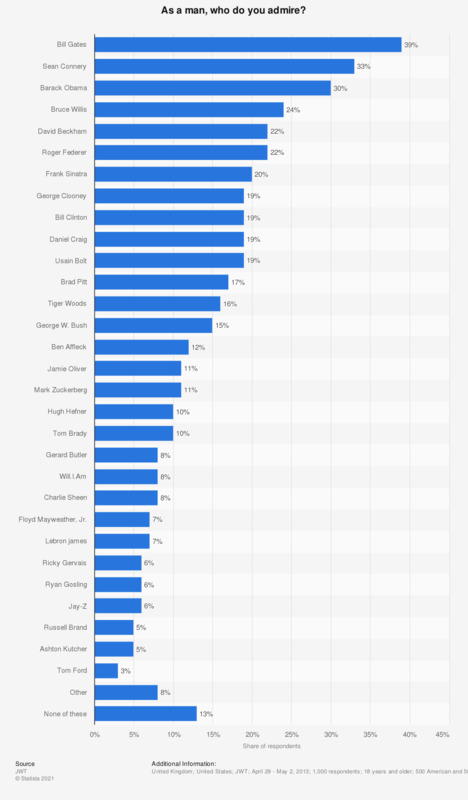 This statistic depicts the percentage of American and British men who say they admire any of the people listed above. The survey, which was released in June 2013 by JWT Intelligence, revealed that 39 percent of men said that they admire Bill Gates.